We are good to go! 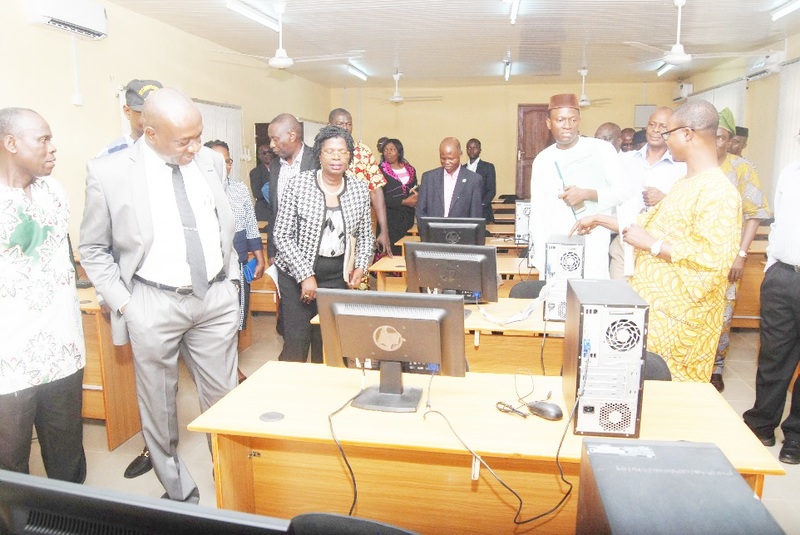 The Vice-Chancellor seems to look as he observed the sets of computer systems in the CEADESE E-Library/ Computer RoomThe Vice-Chancellor, Professor Kolawole Salako was accompanied on the trip by the Deputy Vice-Chancellor (Academic) Professor Morenike Dipeolu, the University Librarian, Dr. (Mrs.) Feyintola Onifade, Director, Physical Planning, Architect Babatunde Anasanwo and other Deans of Colleges and Directors of Centres. 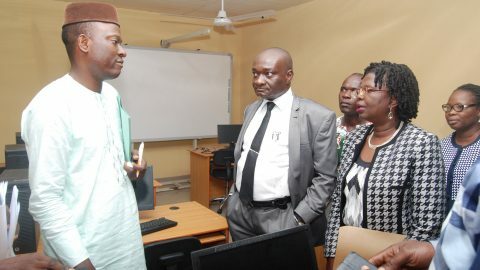 The projects that were inspected by the team under the guidance of the Director, CEADESE, Professor Olukayode Akinyemi are the 56-Seater CEADESE ICT Laboratory and Library, fully furnished with the provision of purpose-made computer tables, library tables/chairs and secretary’s swivel chairs. The Library also had new metal book shelves, repainting of the internal and external walls of the Library and the ICT laboratory, replacement of wooden doors with metal security doors and venetian blinds for both the Library and the ICT laboratory, installation of library counter and cloak box, both fitted with Air Conditions and Closed-Circuit Television (CCTV). 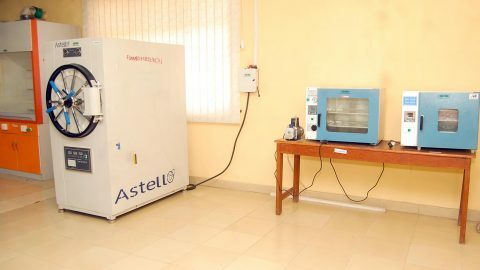 The CEADESE Central Laboratory, which according to Professor Akinyemi, is fully installed with needed equipment such as the GC-MS and the HPLC Agilient 1200. 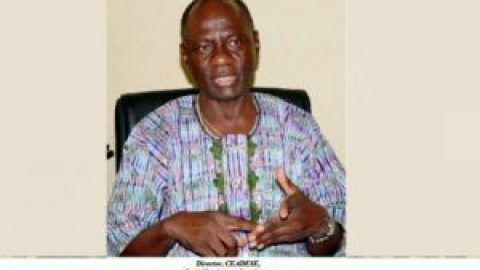 According to the Director, the equipment inspected cost a total of N300m and they covered all the equipment needed by all the 6 programmes under CEADESE. 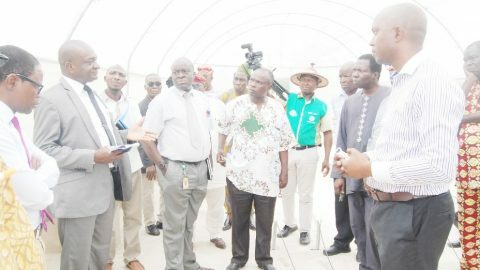 Professor Akinyemi also said that the manufacturers of the equipment will send experts to train technologists, staff and some students on how to handle and operate the equipment. 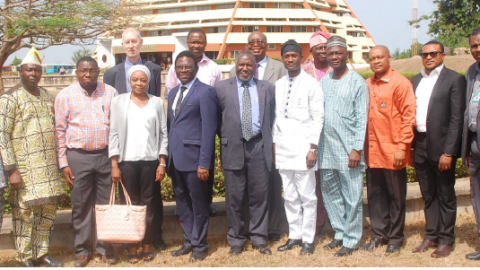 He further noted that the Laboratory will have back-up power from a dedicated 50KVA Soundproof Generator, Inverters and Solar Panels. 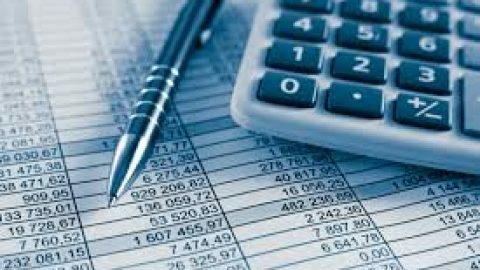 The Laboratory also has as a plus for it a Concrete Worktop, 2 Fume Cupboards, 4 Air Conditioning Units (1.5HP), Venetian Blinds, Metal Security Doors. Also inspected was the Programme Office, where the various Programme Leaders of CEADESE offices will be domiciled. 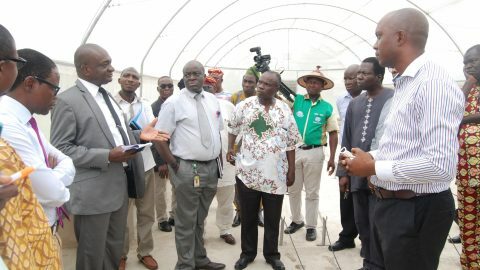 Another point of visit was the CEADESE Screen House with all round supply of water and the Plant Breeding and Seed Technology Laboratory, all domiciled at the College of Plant Science and Crop production (COLPLANT). A tour of the World Bank Projects in the University Farm was also undertaken, with a visit to the upgraded Layers, Cockerels and Rearing Houses. These projects involved the replacement of external and internal Chicken netting with the metal “Boko-Haram” wire mesh, Renovation of the dwarf walls, repair of damaged portion of roof, repair of floor and dropping pit. In addition, it also has the replacement of doors and windows, construction of a composter house/concrete Apron and the drilling of Borehole and Reticulation of water. 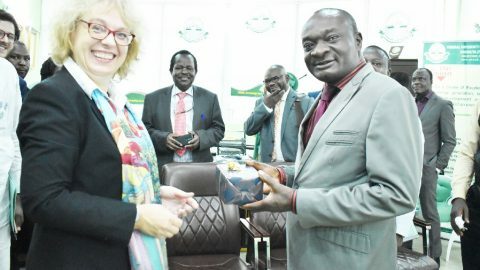 According to Professor Akinyemi, other projects yet to be visited included the upgraded Kalahari Goat and Sheep Houses, and the refurbished Postgraduate Laboratories at the Departments of Environmental Management and Toxicology (EMT), Food Science and Technology (FST), Physics, Animal Nutrition (ANN) and the Agricultural Mechanization.